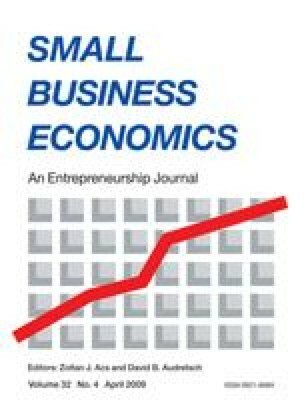 The choice between self-employment and paidemployment is analyzed empirically using a so-called endogenous switching model. The model features beside the choice equation earnings, equations for self-employed individuals and employees and is estimated using a two stage structural probit method. The model is applied to a unique (Dutch) data set including childhood ability and family background variables. The main findings of the empirical analysis are that the probability of self-employment depends positively on the earnings differential between self- and paid-employment, that a relatively high score on a IQ test applied at the age of 12 increases the likelihood of becoming self-employed, and that the employment status of the father strongly influences the decision to become self-employed. The research reported in this paper is part of the project ‘Economics of Political Decision Making’ of the University of Amsterdam. We acknowledge the financial support obtained from the Ministry of Economic Affairs by way of the Research Institute for Small and Medium-Sized Business and the financial support of the Netherlands Organization for Scientific Research. We are grateful to Joop Hartog for giving permission to use the data set used in this paper. Finally we thank Hessel Oosterbeek for stimulating discussions and Aad J. M. Kleijweg and Arthur Schram for some helpful comments.